The term digital citizenship comes from the idea that computer users are inhabitants, or “citizens” of the digital society, and as such, they have a responsibility to behave appropriately when using technology. Or positioned differently, they have the opportunity to cultivate the digital space that they want it to be. Digital age citizenship additionally refers to the use of technology to participate in non-digital communities, fair and equitable digital-age practices, and the quality of relationship an individual has with technology. 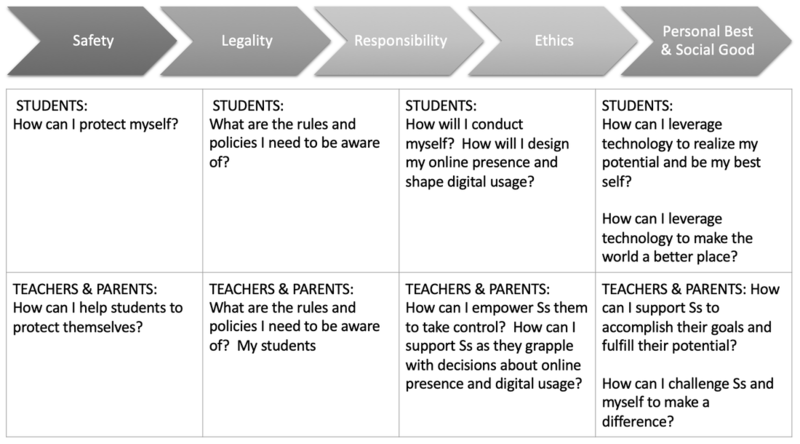 Digital Citizenship includes key competencies for safe, legal, responsible, and ethical use of technology, as well as the use of technology to achieve one’s highest potential and serve others. Edvolve Framework/Digital Citizenship by LeeAnn Lindsey is licensed under a Creative Commons Attribution-ShareAlike 4.0 International License.